Trenton, NJ (July 5, 2018) – Valley Brook Village residents recently visited the New Jersey State Museum & Planetarium in Trenton. 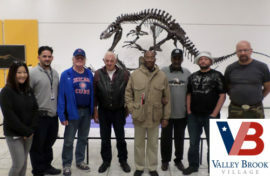 The group went on a New Jersey Natural History guided tour throughout the museum followed by a private showing of “Dark Universe” in the planetarium. 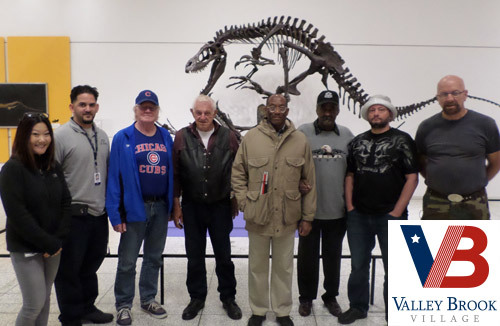 Pictured (left to right): Jenny Irwin, Marquis Vega, Robert Olson, William Selert, Miguel Gracias, Lemeul Vaughn, Joseph Tyler, and James Jarrard.